Home Health Care services are provided in the home setting, by skilled, licensed, professionals while recovering from a self-limiting, short term, event like a surgery, accident or a newly diagnosed health problem or condition like diabetes or stroke. A registered nurse may come to your home to teach you about risk factors, disease process, medications, diet or how to inject insulin and monitor blood sugar. A physical, occupational or speech therapist may teach and provide therapies to help regain mobility and function. 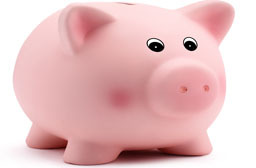 Social workers also make home visits to assist with financial assistance planning or other community based resources. These service must be ordered by a physician, who is supposed to oversee and monitor the outcomes of the services provided by the licensed RN, PT, OT or ST. There are a limited amount of doctors who do home visits, but in general most primary care physicians don’t visit their patients at home. The Doctor prescribing the Home Health Service relies solely on information given to them by the RN, PT OT through phone conversations, meetings or chart notes. 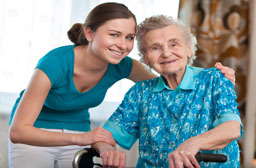 Home Health Care services provided by professional RN’S, PT, OTs etc. are helpful to people that have short term conditions or problems where a recovery to their baseline can be expected. Home Health services can be provided in any care setting; at Home, Residential Care Homes, and Assisted Living or Retirement Communities. It is important to understand that theses skilled supplemental services are short term. Families are expected to provide most of the direct care and personal care assistance themselves or hire the personal care assistants/caregivers to provide custodial care. We discuss that below. Most health insurances pay for these services only on a short term and intermittent basis, meaning that the expectation is that you will recover, improve and regain function and no longer have a need for these services. Each insurance provider has different rules about how many visits are covered. These services are also available on a private pay or out of pocket basis. The cost for one of the above mentioned professionals to visit you at home is about $150 per visit. 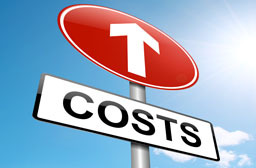 Insurance companies and private pay customers both limit the amount of visits because of the high cost. When individuals have to pay for it out of their pocket, it’s much easier for them to be convinced it is a service they don’t need. 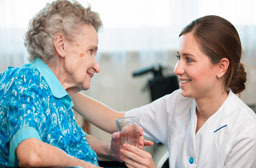 Custodial type Home Care services differ from Home Health Care services which are provided by a professional skilled RN or PT because custodial care is solely for personal care assistance and/or providing assistance with Activities of Daily Living (ADL’s) like bathing, dressing, meal preparation, etc. 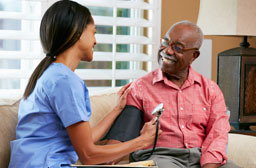 Home care workers have many labels such as Home Health Aide (HHA), Personal Care Aide (PCA) and Certified Nurse Aide (CNA) all of which provide the same type of assistance with personal care or Activities of Daily Living (ADLs). Usually these workers are not allowed to assist with preparing or administering medications. These licensing labels have subtle differences, depending on the setting they work in, but in general the services they provide are similar. Many family members are currently providing homecare services in their own home for their own family members, but far too often family caregivers are overwhelmed with the tasks of caring for their loved one on their own and often look for assistance for Home Care Agencies or Personal Care Agencies. Having support and help is important for families, especially, as a loved ones’ problems start to increase and more assistance is needed. Personal care aides can be a good alternative to family caregivers when one is in need of a little extra assistance, a few hours a day to fill in or as an add on to an existing care schedule. Home Care Agencies utilize personal care aides’ who generally have 8-16 hours of classroom training. While the amount of formal training many of these caregivers have may seem minimal, it is important to consider that good caregivers come with qualities that may or may not be learned in the classroom setting. 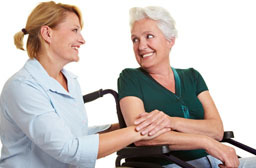 Patience, compassion, communication are a unique set of social skills that set many caregivers apart. Knowledge and experience of basic health issues, medicines and medical equipment are also important skills for a caregiver to possess. 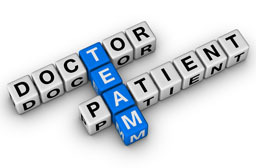 Lastly the ability of the caregiver to work as part of the team: working with the MD, RN, PT – following and understanding treatments and orders prescribed by medical professionals, looking and listening for subtle changes in a patients status and being able to clearly communicate those changes or concerns to the MD, RN and family. Unfortunately, many of us have had unpleasant experiences with Home Care Agencies trying to coordinate and help us find those skilled caregivers, often unsuccessfully. Some people are lucky to find private care workers who are not provided through an agency. These private in-home care situations are usually a more positive experience than home care services provided by an agency because the relationship is built and developed between one or two people. The caregivers are working and paid directly by the patient and the family and have the ability to provide a family- like service, many times actually becoming part of the family and developing a personal interest in the patients and families they serve. This is a great service if you can find it. The downfall of relying solely on assistance from one private caregiver is not having an extra support system or back up plan in place, if and when the caregiver gets sick or needs to take a leave of absence. One can envision limitations when the care needs increase and 2 caregivers or 24hr care is needed to accommodate the care needs. This plan also lacks any higher level of medical management and coordination of the increasingly complex and disconnected Health Care System. For people who want to stay in their own home, in- home care is an option, but often has many downfalls associated with it. This first down fall is the cost. Home Care services are very expensive. Personal Care Agencies charge $20 to $25 dollars per hour and most have a four hour minimum which equals $80 -$100 per day for only four hours of assistance that is $2,400-$3,000 per month. While the idea of in home care is a good one and one that most people would choose, the reality, for most of us caring for loved ones at home, is that as the care needs of our loved ones increase so does the cost, both financially and emotionally. Keeping a loved one at home can easily cost about $300 per day or $9,000.00 per month if not more, for 24hr care. It can also cause increased stress and strain on the family, often putting most of the responsibility on one family member, who likely has many personal and professional responsibilities to manage of their own. The second downfall is lack of continuity of care. Often the agency sends different caregivers or personal care assistants which can cause anxiety, mistrust and frustration for the person receiving the assistance and the family who is responsible for coordinating and making sure the schedule runs smoothly. This also makes it very difficult for the patient and the family to build a trusting relationship. 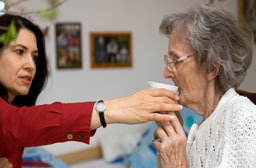 In addition,caregivers often have little contact with the doctor or other medical professionals which can limit their ability to communicate pertinent information about the patient’s status and can contribute to a break down in continuity of care due to the absence of a team approach. The key to any good home care program is to develop a team approach. This can be challenging in today’s health system. 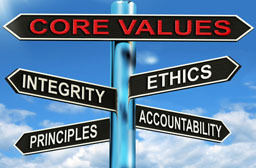 Home Care Agencies and Personal Care Agencies (PCA’s) are often challenged to provide continuity of care and often miss the mark on what we believe is the corner stone of providing the best care, which is building and developing trusting relationships among team members, both administrative types and direct caregivers. We need to remember that these personal care agencies are formed on a business model that is based on finances first, not family first. Who are the owners? Are the owners, managers and supervisors directly involved and invested in the direct care each home care patient receives? Do they know the people they are providing service to on a personal level? Are the owners, managers, supervisors in direct contact with the caregivers? Are they invested in their own relationships with the caregivers that are working for them ? We have found the best care one can receive, is when all members of the care team, including owners, managers, supervisors and caregivers are directly involved in the care and have a personal investment in each patient and with each other. Operating much like a family- unit, communicating with each other and relying on each other. Building and developing trust with in the team and then extending those ideals of trust and relationships to the patients and families they serve. Many agencies have workers who have the heart, who want and are willing to put in the time and effort to develop trusting relationships and are there to provide the best care and service they can, but too often the business model of the agency does not support the family style business model and the care that is delivered is less personalized and contiguous. Any home care agency where the owners, who have a personal interest, have decision making authority and are hands- on in the day to day operations will likely have more incentive to provide a higher level of personalized care and service than a facility where the owner is not personally involved in the management of the residents health care needs and does not know the residents or family on a personal or first name level. For more information on alternative care settings and types of services, see the various pages on this site; Assisted Living, Residential Care Homes, Home Care, Adult Day Care, Respite Care, Hospice Care, Dementia Care, Alzheimer’s Care.